Hope everyone’s week is going well! We’ve had a full past few days here in Tokyo, and tomorrow we head off to Kyoto! We’ll be staying in a Ryokan for the first night which we didn’t have a chance to do on our last trip. So excited! A ryokan is a traditional Japanese inn – they serve you dinner and breakfast (in a ceremony-like setup), feature traditional accommodations, etc. Should be very cool! Make sure you’re following along on Instagram stories so you don’t miss the highlights! 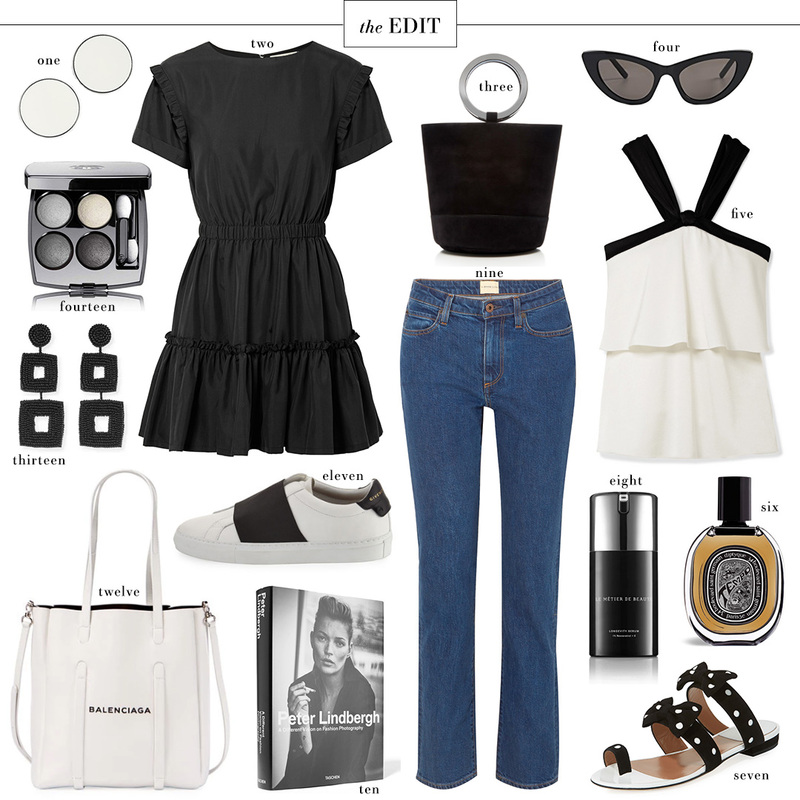 In the meantime, here’s an EDIT full of new black + white faves… those polka dot sandals are high up on my wish list! So darling. How cute is that black dress!